To celebrate the beginning of a new school year I thought I would give away several books. Hopefully this happens to other people, but I occasionally purchase a book, and then when I put it on the shelf I discover I already have the book. Although this is embarrassing (and possibly a sign of old age), it is good news for readers of this blog. To have a chance at winning these books, leave a comment with your name so I can contact you if you win. I will randomize the names from the comments and select one winner at random. I will announce the winner (and the next giveaway) on Wednesday, August 30. 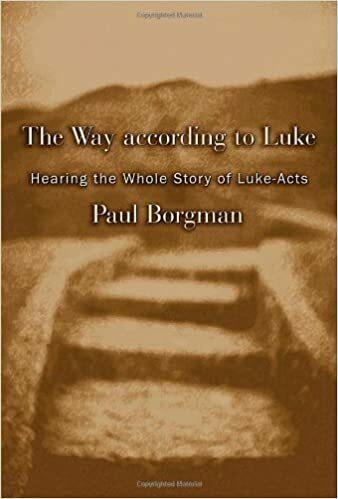 Luke-Acts volume promotes Luke’s quest for the Gentile mission. I sure could use someone showing me the Way! One again Dr. Long thanks for your generosity. Thanks for the opportunity to get that book. I thoroughly enjoy your blog! Definitely interest. Thanks for the generosity! Does this count as a substantive post? Sounds like an interesting read. Keep the good work. I’m part way through preaching a series on Acts. I enjoy free stuff! Consider the almost literate Jared Kusz “in the running.” Though I certainly hope no actual running in involved. Sounds great- love this blog! Thanks for your confession of duplicating a purchase of a book. This is a great consolation to people like me and possibly others who have done the same. But, that only means there is a book to share with someone.